Just as I do each year, I try to display the Nominees in a non-Competitive Exhibit at the Convention, for all attendees to get a chance to see the 10 Nominees. 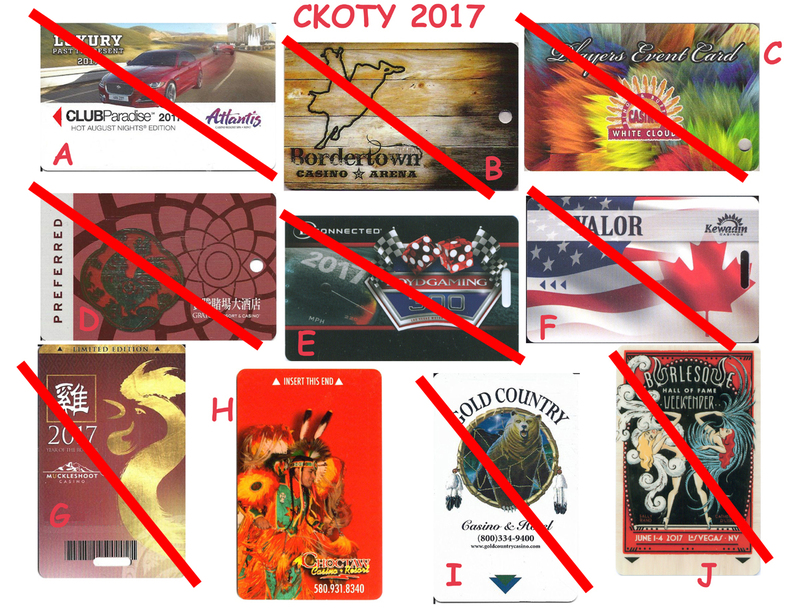 Also, as I do each year, I ask our membership (and non-member collectors) to consider loaning the Club an example of any of these Room Keys/Slot Cards. If you are inclined to do so, you can send them to me or bring them to the Convention. They will be returned right after the Convention, at Club expense. Please contact me before shipping, so that I can check them off my list. Again, this is a "loan" situation! These will be returned.